Do you want to earn money through your site? Get your website working for you now to make money. Become one of Topshopper's Affiliates and you can earn a massive £5 (that's 16.7%) on all sales of TopShopper II during sessions initiated through Special Links on your site. In addition, if you recruit sub-affiliates, you will receive £1 commission on all their sales as well. An on-line tracking system allows you to monitor your sales in real time. After you join, you can download Special Links to put on your site. When a client orders TopShopper II , the transaction is logged. If the client was referred by you through the Special Links, the transaction will be tagged automatically with your Affiliate Reference Number. As soon as the transaction is confirmed, the commission is credited to your account. If a Sub-Affiliate is recruited by following a Special Link from your site, they are permanently linked to you. If they initiate a sale, then your account will earn money as well as theirs. You get £1 for every sale they make. The more sub-affiliates you can recruit, the higher your earnings will be. 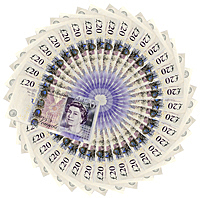 Being an Affiliate, you can get £5 cash back by clicking on your own link. Your purchase will earn the £5 commission which will be credited to your affiliate account. Please also note that if an affiliate fails to meet the terms of the agreement, TopShopper reserves the right to remove them from the scheme at any time. TopShopper affiliate scheme is free to join.TopShopper offers a highly competitive 16.7% commission. Commission is paid on gross sales. TopShopper uses advanced tracking technology to track and report on every ad or placement and pays affiliates on a monthly basis - subject to a minimum payment of £10. • Affiliates must not bid on TopShopper, www.topshopper.net, brand names or any misspellings of the brand. • Affiliates must not use www.topshopper.net, or any variation, as the display URL for search engine adverts. • However, affiliates may bid on generic keywords, for example ‘shopping cart’ or ‘e-commerce’. Affiliates may also use the TopShopper brand name in sub folders of their own display URL or in the ad body copy of their PPC adverts. Excellent Commissions paid for selling our services. Making money today. If you recruit affiliates to the TopShopper program then these are your sub-affiliates. You earn £1 for every sale they make. The more sub-affiliates you can recruit, the higher your earnings will be. © Topdown.co.uk, 2009. Do not copy or reproduce any images or code without written permission.